I am all about trying anything and everything (within reason) to help shed these excess pounds as long as it is natural and healthy. So, yesterday I decided, at the strong urging recommendation of my dear friend Ryan, to try a session in an infrared sauna. First off, I am not particularly fond of being overheated and I sometimes feel a bit claustrophobic in a sauna. This sentiment left me feeling slightly apprehensive, but I thought why not try it, it couldn’t hurt. So, I made an appointment at the Sweat Shop in Hollywood and headed over to get my sweat on. From the moment I arrived, I could tell that the energy in this place was on point. It immediately felt clean, calming, and spiritual but without any of the ordinary pretension that can sometimes be associated with these type of places. I was greeted by a lovely smiling woman behind the counter named Serendipity (great name, right?) and after filling out some minimal paperwork she took me to my individual sauna room which also had a personal shower (nice touch considering all of the sweating that was about to go down.) She made sure I knew how to use the sauna (set the timer, temp, and personal radio) and left me with a large carafe of delicious cucumber water. With that, I disrobed and was off to the races. Now, like I said, I am not the biggest fan of heat but I have to say, I was pretty into this sauna from the get go. I found it very relaxing and the excessive sweat that was pouring out of my body felt very cathartic. The session is an hour long and I popped out every 20 min or so to get some air before returning to the sauna. I don’t know if it was the infrared talking, the serene environment, or the sense of placing a pause button on the day, but I was really into the heat and the whole experience and felt completely rejuvenated by the time my session had ended. I took a refreshing cold shower to wash away my sweaty layer of victory and was off to conquer the rest of my Sunday with a little more pep in my step. I really cannot wait to go again and I highly recommend this treatment as a supplement to your weight-loss or health regime! 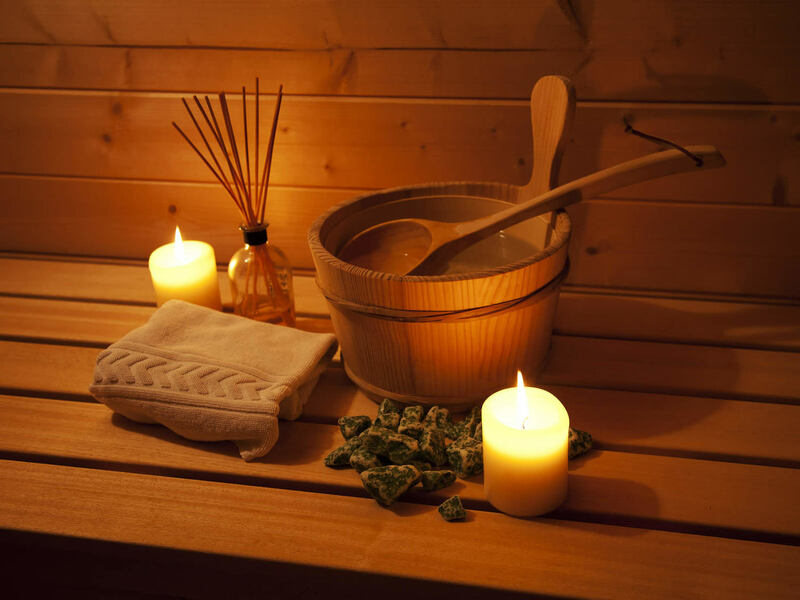 Have any of you experienced the infrared sauna? If so, what was your take on it? Let me know in the comments section below! Also, here is a video explaining the benefits of infrared saunas if you have never heard of one before or are craving a little more information!